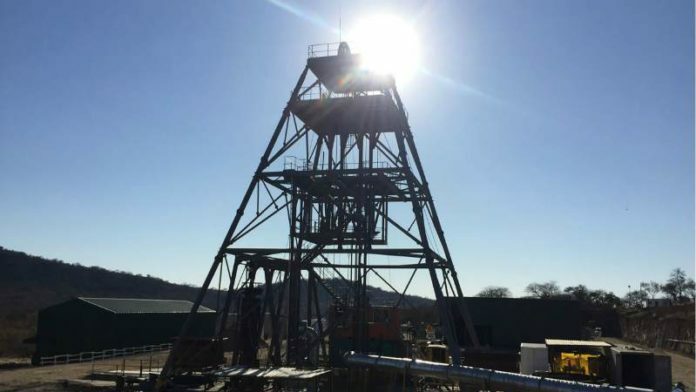 THE ramp up of Caledonia Mining’s Blanket extension project would be slower than previously anticipated owing to “certain economic factors” which resulted in less development than planned in the 2018 financial year. Production is now expected to be about 75,000 ounces in 2021 increasing to 80,000 oz in 2022, the project’s scoped capacity. “Work is currently focused on horizontal development of the loading station,” said Steve Curtis, CEO of Caledonia Mining in the firm’s 2018 financial results announcement. “I expect the shaft sinking to be completed by the end of June 2019, after which the shaft will be equipped prior to commissioning which is scheduled for mid-2020,” said Curtis in his results comments. Caledonia, which operates in Zimbabwe, turned in a reasonable performance for the year with adjusted earnings per share coming in at 131.5 US cents per share compared to 135.4 cents/share in the prior period. The company operates in a constrained environment following changes in monetary policy which adversely affected procurement activities. “Delays in procuring critical items meant that capital equipment suffered from a lack of maintenance which increased the frequency of breakdowns,” the company said. “We are optimistic that the introduction of a market exchange rate in February 2019 will, in time, allow a return to normal operating conditions,” said Curtis. What a lame duck – have you seen management remuneration?. Very high. Have been spending big numbers on capex for several years and keep on moving the goalposts re production targets yet management remian steadfast. Single country, single product equals increasingly high risk. Were oh so vociferous about the generous export allowance in Zim…now it ainy there no more – better to keep lip zipped and focus on meeting yr targets.